One thing I really love about blogging, the community! So I thought it would be fun to share some of my fellow Charlotte babes and show them some love! 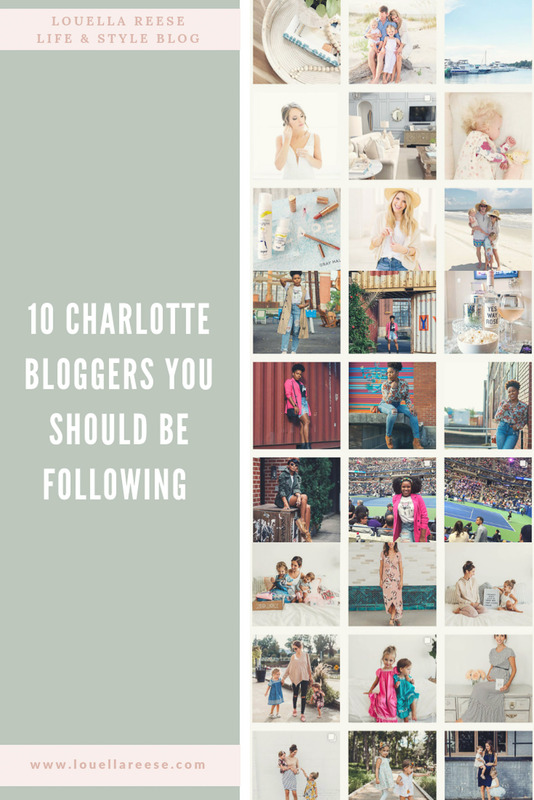 So here are 10 Charlotte bloggers you should be following! 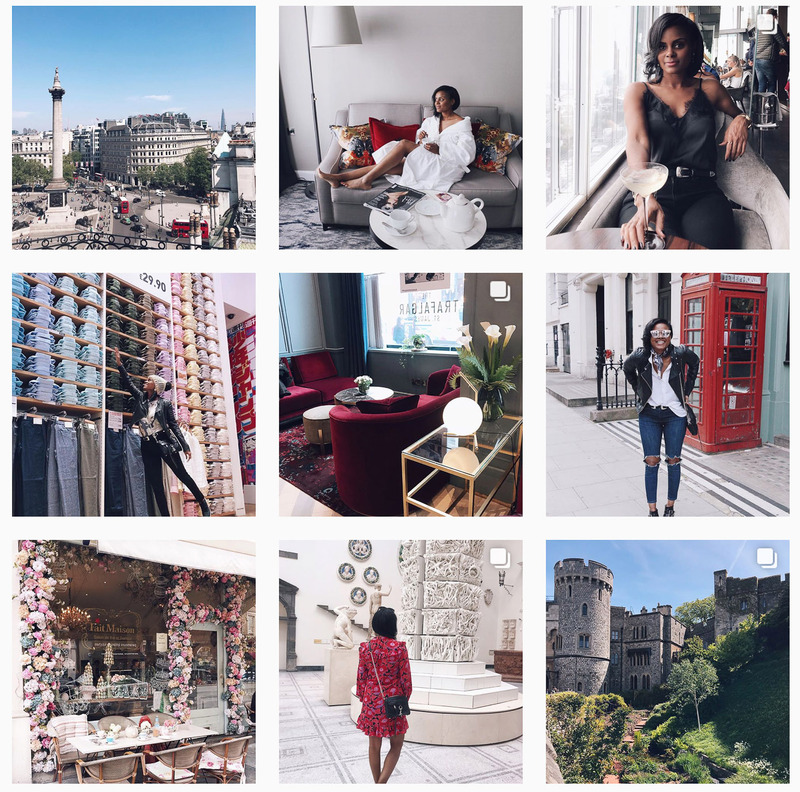 To bring some excitement to your Monday, I’m adding some pretty to your Instagram feed and amazing content for you to read (who can focus on work on a Monday anyways?). In the form of Charlotte bloggers. From fashion and beauty to family and travel and everything in between. 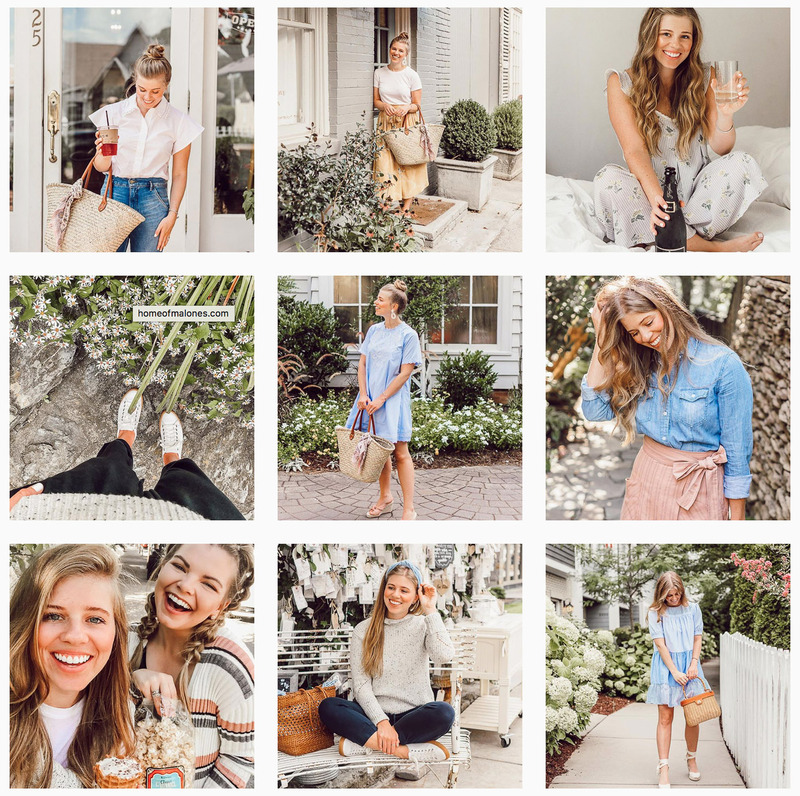 These gals cover it all and create the prettiest Instagram feeds and amazing blog content to go along with it! 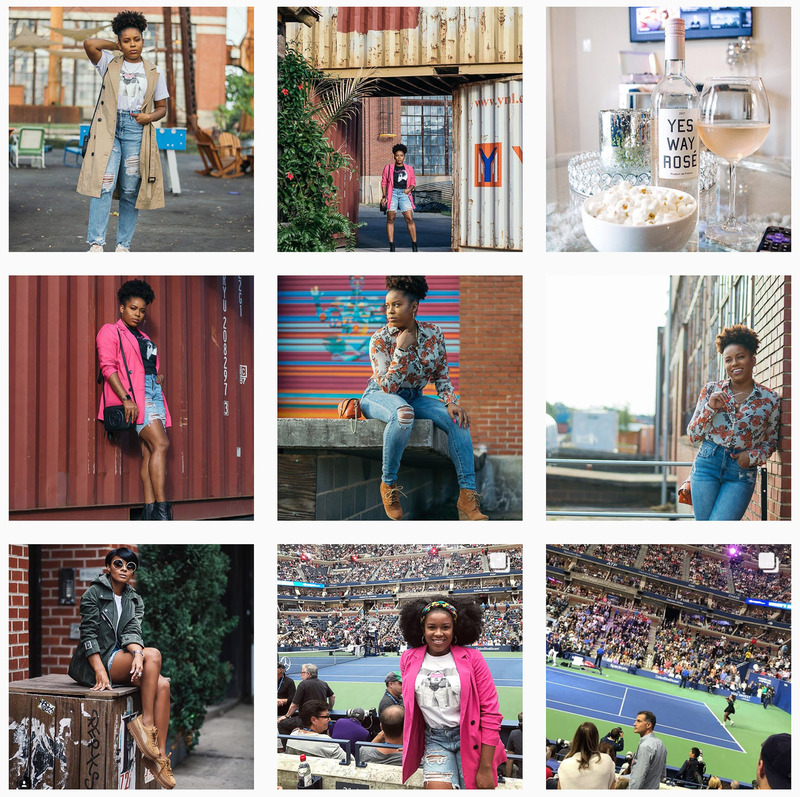 I have been following some of these gals on Instagram and their blogs for years and others are newer finds. However, I absolutely adore them all and can’t get enough of the content they put out. As my mom told me in middle school and high school, if you don’t vote for yourself, why should anyone else? If you don’t promote yourself, who will? So I’m taking mom’s advice, mom’s do know best after well, and adding myself to this list. 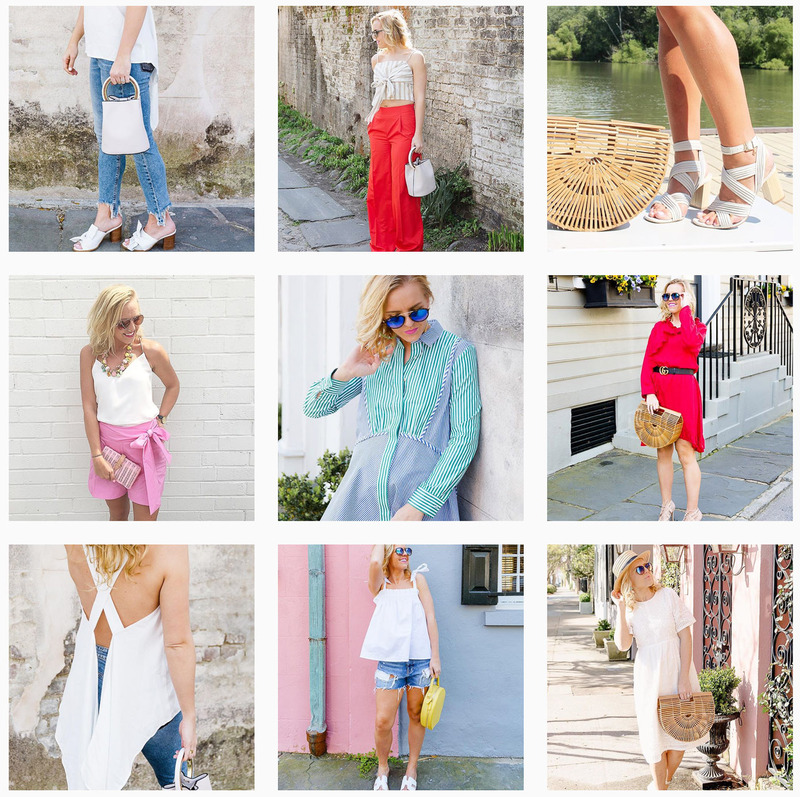 If you’re into feminine, casual style with a classic twist, I’m your girl! You’ll find this style translate into home decor, travel, and a little food inspiration here and there. I only wish I could tell you how cool this gal is but there is no way to do her justice! I had the opportunity to work with Melissa last year on a campaign and fell in love with her immediately! She is cool girl chic and will inspire you to get a little playful with your wardrobe. Also, her make up is ALWAYS on point and goal worthy! The very first thing I said to her was “WOW, you’re eyeshadow is incredible” – seriously try to follow her and not up your make-up game, it’s impossible! Kristina is travel goals! She snaps the absolute best travel photos. 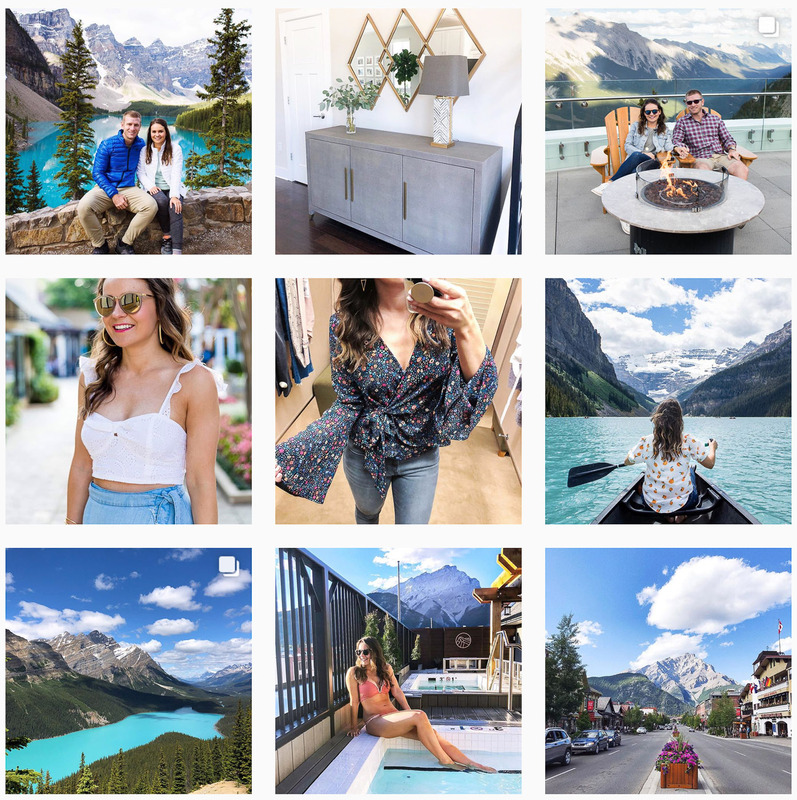 As seen in the grid above from her Instagram, she recently visited Banff, Alberta, hitting spots like Lake Louise and Moraine Lake and her photos look straight out of a magazine. Kristina also shares home decor (follow her hashtag #HotelSapel) for interior inspiration and also, the most perfect rooftop patio. Oh my goodness Lindsey is goals in so many ways! From her fabulous makeup tutorials to her hilarious commentary on her husband’s surfing. Seriously, you never knew you needed surf commentary until you’ve watched one of Lindsey’s Instagram stories. She also has the prettiest home you’ve ever seen and while she says it’s a mess all the time from her two cuter than cute kids, it always looks like perfection. Lindsey also shares the latest and greatest make up weekly, if not daily and tutorials to create the make up look of your dreams! Met this sweet momma of two this winter and been obsessed with her and her two little ones ever since. As you can tell above, she has a third one on the way! 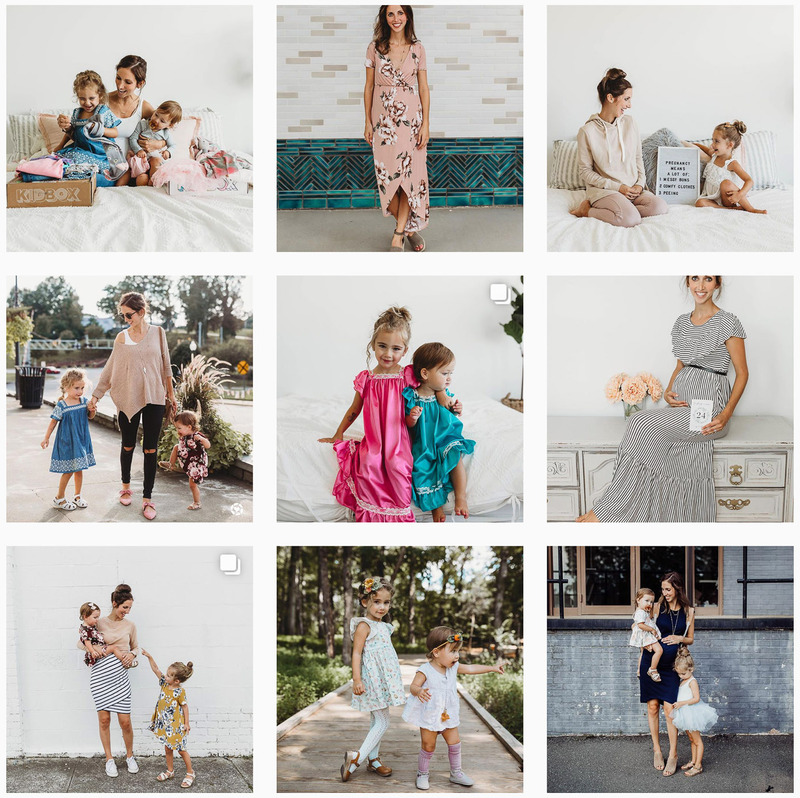 Her two little girls, Hallen Amélie + Hazel Marigold (are those not the cutest names ever), will steal your heart in seconds. They are two of the most beautiful children I have ever seen in my life and their sweet personalities shine through in Kristina’s photos often. 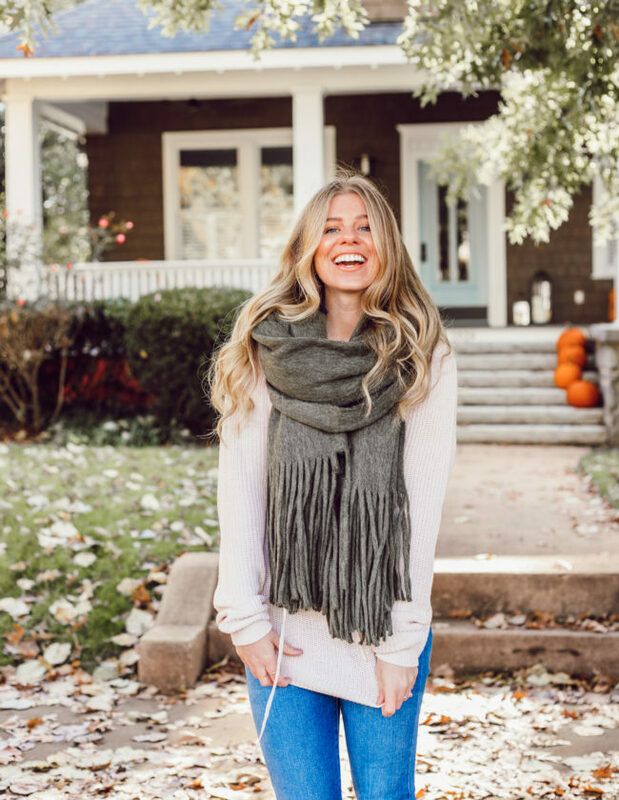 Kristina shares great tips and looks for mommas and momma’s to be. While also just bringing a little sunshine into your life daily with her little fam. I was just introduced to Raina last week and immediately followed her! 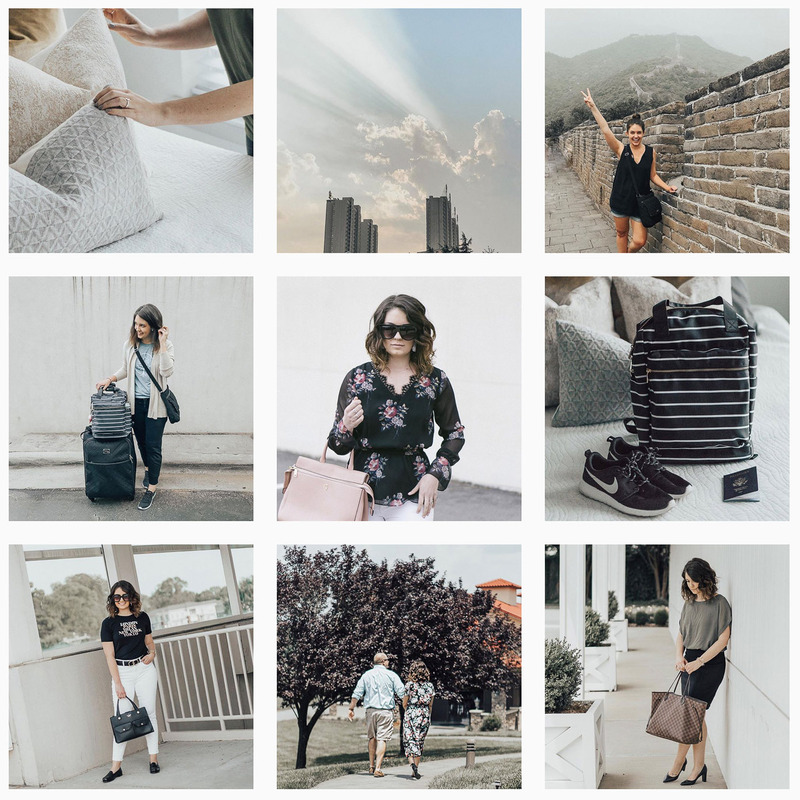 Her feed is absolutely beautiful – the perfect mix of style, travel, food, and everyday life. She is also incredibly beautiful and has a really awesome vibe going. You can just tell from her photos and captions she’s a very positive, radiant person. Her travels are truly swoon-worthy and will have you planning your next get away ASAP. If you have followed along with me for any length of time, this one isn’t a new face to you. This is my blogger turned real life BFF. Morgan and I may be best friends but are styles could not be more opposite. While I reach for blues, greens, pinks, and whites with feminine vibes, Morgan gravitates towards black, grays, white, and browns with chic, modern touches. So if you’re more into darker hues and classic looks for work and play, Morgan is your gal! 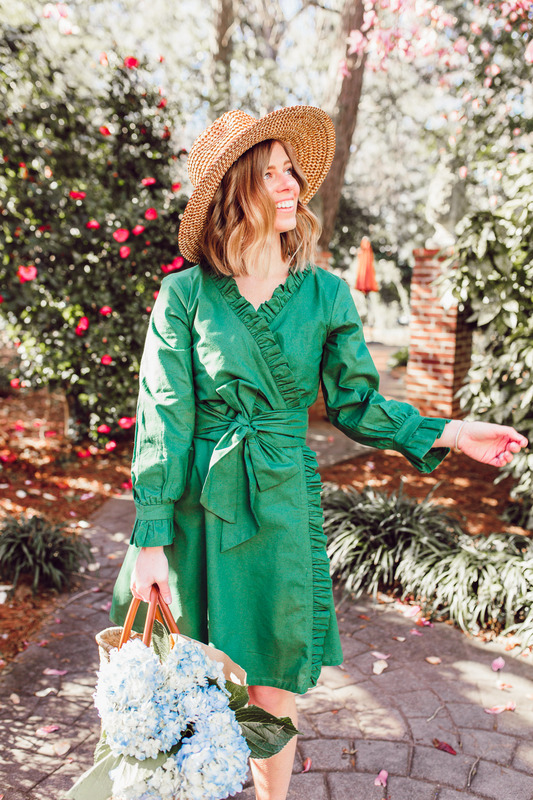 Colorful, bright, and playful are three words I would use to describe Taylor Reese’s style. The gal has fun with what she wears and it reflects in her playful photos. 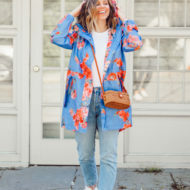 If you love to play around with what you wear or add pops of color (maybe multiple colors) you will love following Taylor Reese. This lady is also a momma to be (due in December) and could compete with celebs on her pregnancy style! 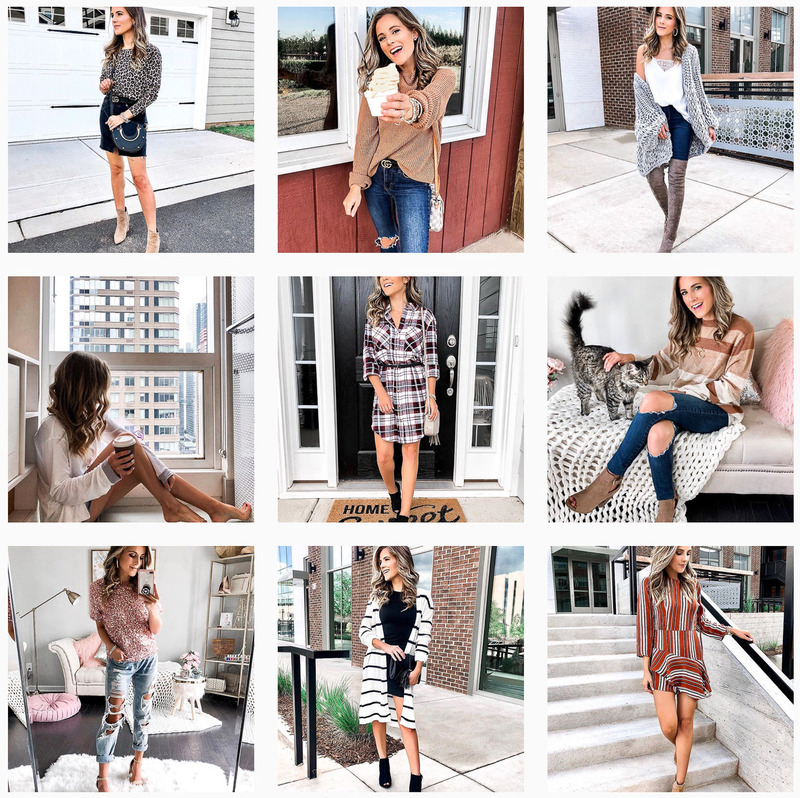 So momma’s to be, if you want to up your fashion game, give Taylor Reese a follow for sure! Courtney and I have been friends since the beginning. And by that I mean, since I came into the blogging world. Crazy to look back at where we started and where we are today! 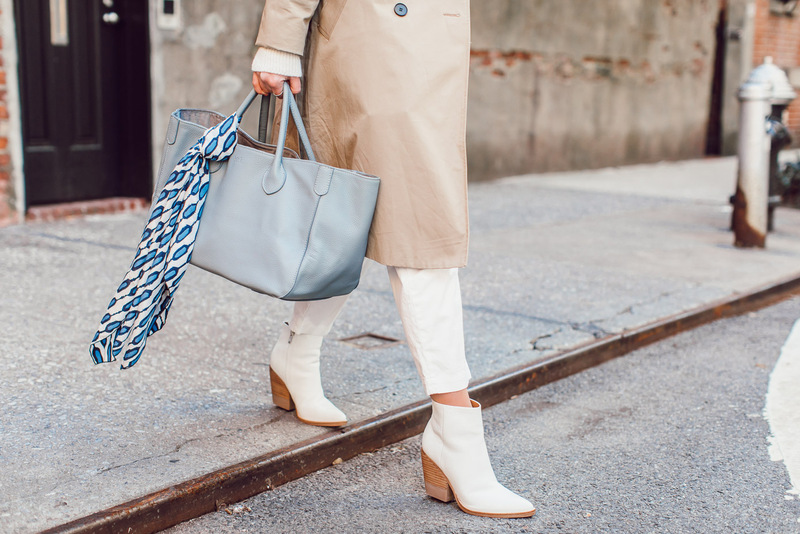 Courtney showcases awesome elevated every day style for the petite gals of the world! And occasionally shares sweet snaps of her mini me, seriously, she’s the cutest! Aw yay! I am thrilled to hear that. 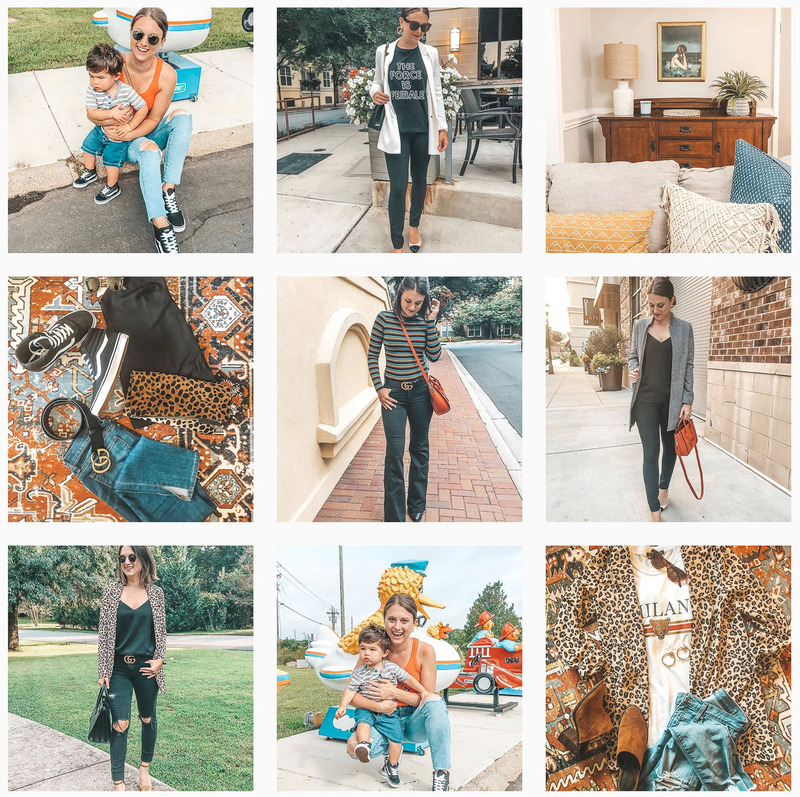 Of course – absolutely love your style and following you! Love how supportive you are of other bloggers!! One of my favorite things about you!! Aw thank you gal! Really appreciate that 🙂 love supporting fellow blogger babes! First off – thanks for including me!!! You’re the best!! Secondly, how have I not been following some of those cute momma’s and their littles?! Following now! Of course lady! I am so happy you found some new bloggers to follow – you will love them! All of these bloggers are amazing I need to check them all out! Aren’t they? Yes, you definitely should! Except for Morgan everyone else is new for me … so many stylish women. Thanks for the intros. Always good to find new bloggers to check out. Aw yay I am happy to hear you found a few new ladies to follow! Of course, thanks for reading! Aside from one or two names on this list, I hadn’t discovered any of these accounts yet! Goes to show how BIG the industry is and how much beautiful content is SO easy to miss. Thanks so much for sharing these talented bloggers! This is such a great post! 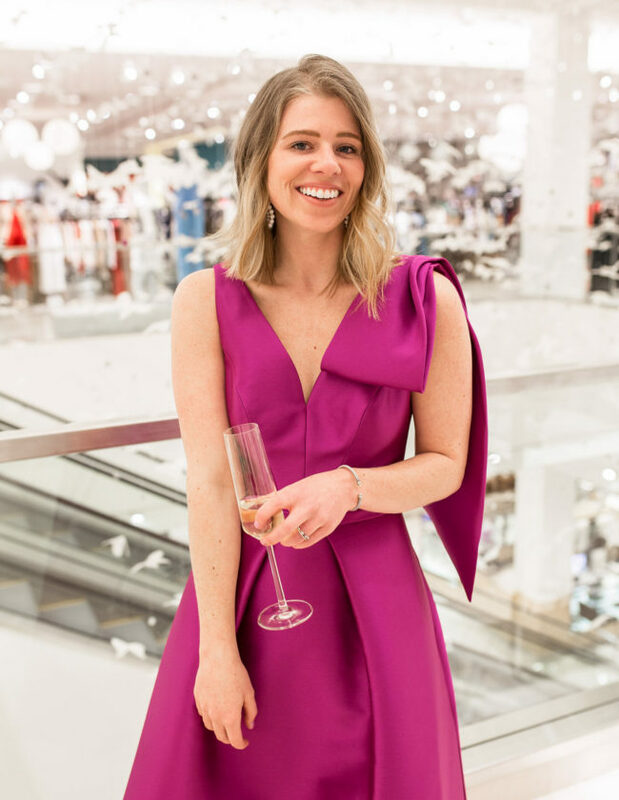 I love finding new bloggers and I love seeing bloggers support each other!! Aw thank you Cathy – I really appreciate that! Love supporting my fellow boss ladies! So many great Charlotte bloggers! I already follow most of these lovely ladies but am adding the ones I am not! This is such a great list! I love all of these gorgeous feeds, I need to follow everyone. 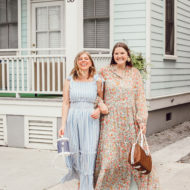 They really are great ladies to follow! Omg, absolutely Loving all of these accounts! 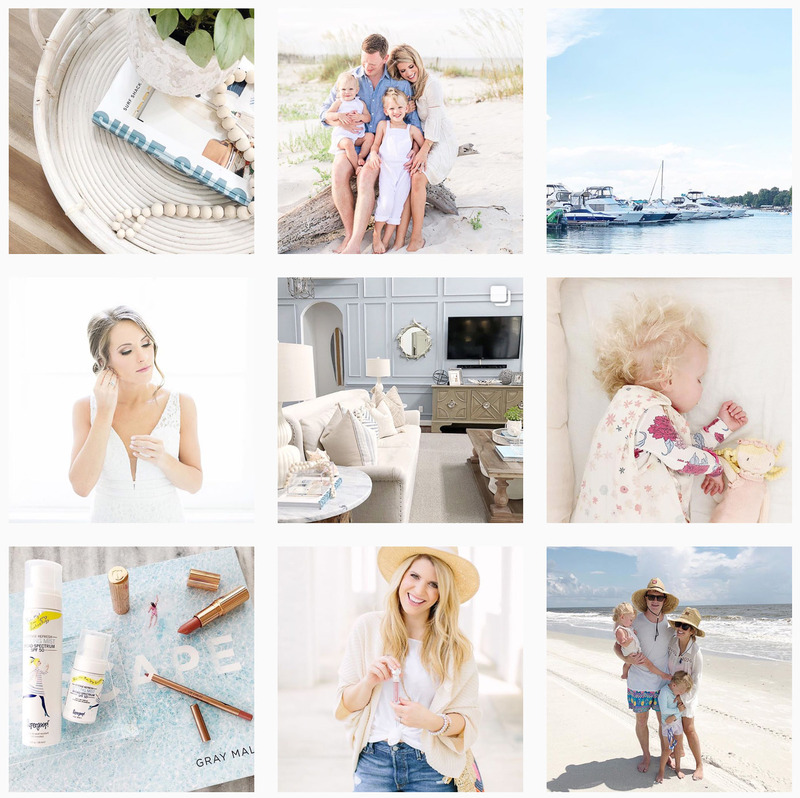 Going to follow them, all of their feeds are so beautiful and inspiring! Yay! I am so happy to hear that Kileen – you will absolutely love following them! Love this post – I used to live in Charlotte, so this is fun to check out all these other ladies! Thank you Kimberly! Hope they can help you reminisce a bit! YGG! I Love bloggers supporting other bloggers!! Aw thanks gal! Glad you enjoyed it and yes all about supporting one another!! Aw I absolutely love this post idea!! Such a great way to support your fellow blog babes. Following them all now! Aw thanks Mollie! I appreciate that! And yay – I am so happy to hear you gave them all a follow.